It’s a special week for the underdogs of tech. As Nintendo attempts to revive its fortunes with a hardware gamble in the console market, Intel’s long-time rival also sews the potential seeds of recovery. AMD’s fresh batch of CPUs, based on its all-new Zen architecture, make their way to enthusiasts today. But even if Ryzen succeeds in making AMD competitive on paper once more, will it be enough to rescue the company’s lacklustre decade? You might still want to stick with the known quantity of Intel right now, so here’s our pick of the best Intel gaming motherboards. Long gone are the days of AMD’s K8 series of processors which saw the company momentarily leap ahead of Intel in the noughties. Questionable decisions made since have left AMD trailing in Intel’s shadow. The focus on ‘more cores’ rather than tweaking individual core performance and instructions per clock (IPC) has failed to provide gamers with significant va-va-voom. Since the Bulldozer architecture for their FX CPUs spectacularly failed to meet expectations back in 2011, incremental hops in speed have been underwhelming. AMD was even left facing a class-action lawsuit over what was seen as a misleading core count on the modular design of Bulldozer CPUs. Not the best start to the new decade. Fortunately for AMD some of their CPUs have remained a somewhat sensible choice within restricted budgets, but the realm of high-end gaming has become lost territory. The company’s recent pre-launch claims haven’t matched real-world results, and in the case of Bullldozer, performances sometimes lingered in the realm of its predecessor, the K10. 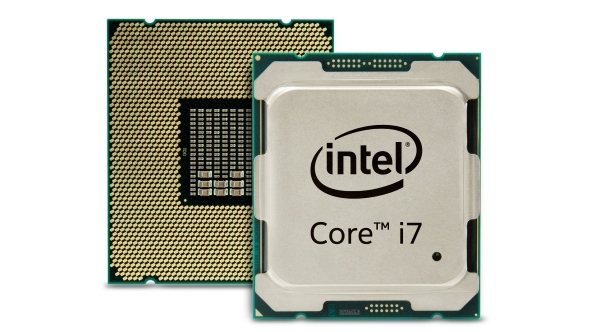 Intel’s solutions have been cleverer, their top-end performance unmistakably better. The result: a swathe of customers who won’t consider anything but a GPU of green and a CPU of blue. In addition to the usual tribalism amongst hardware aficionados, this group of individuals has had genuine reason to deride AMD in recent times. In the eyes of PC gamers, the company is no longer a feisty competitor, but a necessary evil resulting from empty coffers. Even with the prospect of AMD competing in the high-end market for the first time in years, this long-time status quo has created a noticeable backlash to the Ryzen launch hype. Some of this rebuttal is undoubtedly driven by recent history, the rest, it’s easy to suppose, by a strong identification among gamers with Intel and Nvidia. Even if Ryzen’s new architecture secures the dramatic real-world number crunching promised by its creators, this mental barrier is likely to remain. To some, the prospect of the $500 AMD R7 1800X out-performing the $1000 Core i7 6900K will sound too delicious to ignore, but price is only one of many factors. An AMD CPU requires an AMD motherboard, and some would argue, an AMD GPU as well, though historically the performance of either Nvidia or AMD cards has been hindered when wedded to a non-Intel processor. This kind of wholesale commitment to the three most important organs in a PC setup requires trust, a commodity which seems in short supply with regard to AMD’s product lines. One can’t help but feel sorry for Intel’s younger sibling: a company a fraction of the size, with a tenth of the R&D budget, which has attempted to fight against billions of dollars of investment on the part of its rival. The question is, what can AMD do to smoothe over the fault lines which divide those who would, under certain circumstances, purchase their tech, and those who absolutely won’t? It’s here that, in the face of Intel and Nvidia, AMD is facing a battle similar to those who stand against Apple in the smartphone or laptop business. The premium bar has been set, and even when individual products stand head to head with the Cupertino giant’s creations, dislodging customers from the ecosystem proves troublesome. Many high-end gamers have now been exclusively buying Intel and Nvidia since the late noughties – which for some is three complete PCs without any AMD tech whatsoever. No wonder the identity politics of PC hardware enthusiasts has become more partisan of late. The answer for AMD, it seems, is to create a price differential between itself and Intel that is simply too enormous to pass up. PC hardware enthusiasts are, at least in theory, drawn to raw figures and empirical improvements; after all, with a CPUs does anything else really matter? If Ryzen proves that it can deliver a 50% saving to customers on high-end number crunching, this alone may prove enough to damn the potential consequences and dive on in. Of course, this all depends on the potential response by Intel, which has been covered in detail by our hardware editor. The company is already dropping the prices of its current lines, and rumours of further hardware announcements are circulating. It seems unlikely, however, that the current turn of events will immediately overturn the world of high-end PC gaming. AMD is going to have to consistently achieve for a long-while, and through the full stack of chips, in order to reset its rep and bring those intractable members of the opposing camp back onto the fence when choosing a new setup. Today, AMD may score a victory in terms of raw numbers, even if the gaming performance of the initial R7 1800X reviews leaves something to be desired. We await the results of more long term independent testing with baited breath. The victory of hearts and minds, however, will be much, much longer fought.